One of the most frequent questions I am asked is what the difference is between San Francisco style sourdough and French style pain de Levain. I have a pretty good understanding of French pain de levain, it is practically in my blood, but really to get under the skin of how Californian sourdough is different and finding out what the differences are, meant actually spending time in the bakeries and chatting to bakers about their processes, the flour, and the timings, and eating lots of sourdough. 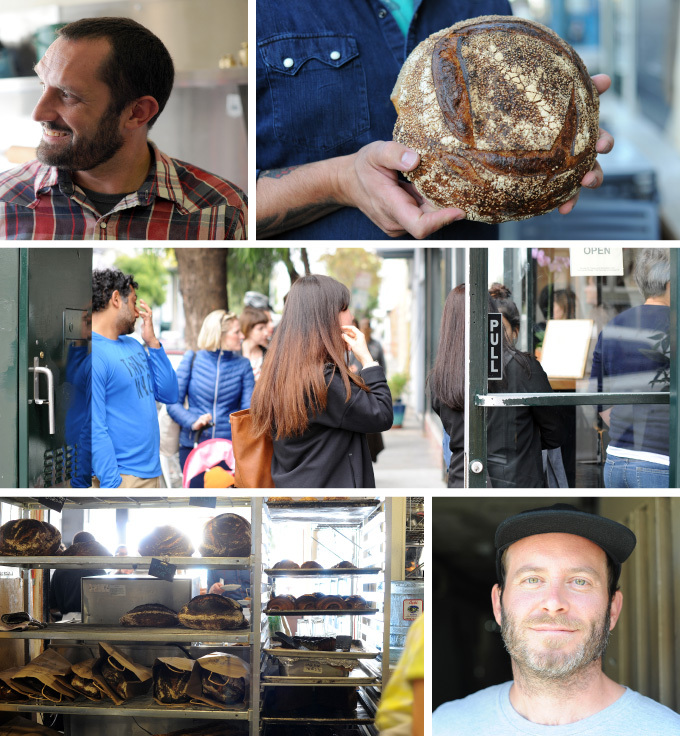 So when the opportunity came up to interview Chad Robertson and spend time at Tartine on 18th in The Mission and meet other bakers in San Francisco, I was delighted. Over the coming weeks I will share some more details of the trip, but mostly all of the recordings and photos will be heading over to the team at the BBC Radio 4 Food Programme, for a special on sourdough next year… and for that you will have to be patient…. good things come to those who wait. Whilst you were there did you visit Boudin Bakery? What did you think to Boudin? It was not to my taste. That is all I’m saying. Did you visit any other bakeries? I managed to visit about a dozen other bakeries, tried the sourdough, and met the bakers from Acme Bakery, the San Francisco Baking Institute, Patisserie B, Della Fattoria, Craftsman and Wolves, Arizmendi Bakery, Boudin Bakery, Nightingale Bakery, The Neighbour Bakehouse, and several others, all making fabulous sourdough. Was Tartine bread the best you’ve ever had? Truthfully, yes. It is outstandingly good. 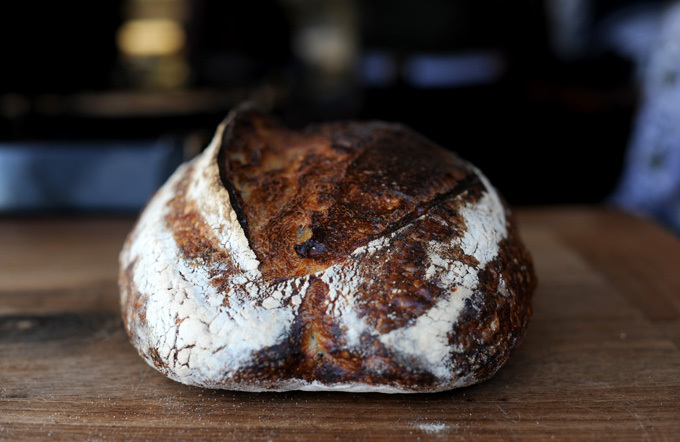 Will you be sharing or teaching the Tartine Method? No. I teach using a traditional French method and everything you need to know about baking Tartine bread is already in the books. Buy them; they are brilliant. How does the traditional French method differ from the Californian method? There are some significant differences. 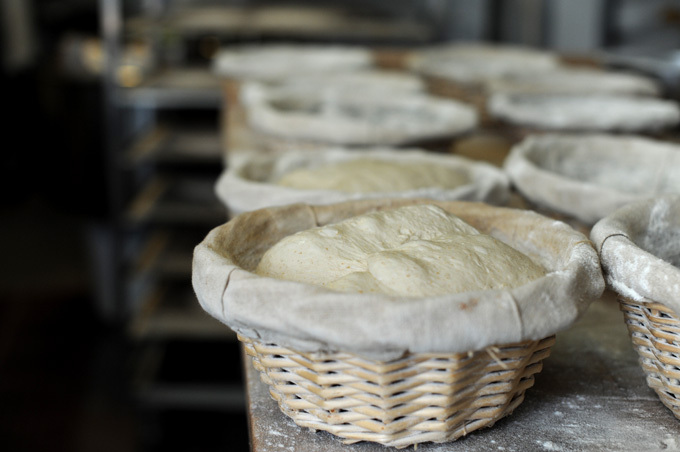 Primarily it is down to hydration and length of fermentation, temperature, and the shaping techniques, although there are differences in the flour too. The French sourdough is fresher in general. San Francisco celebrates the sour, but there are exceptions. The Tartine loaf is French style fresh, but with a higher hydration and a deeper, more complex flavour, moister crumb and bien cuit crust. I will write a fuller article on this in the future. What do you most enjoy about the bakeries? I loved meeting the bakers. In particular I absolutely loved Kathleen, at Della Fattoria. She is a warm, strong, generous woman, I wanted to stay longer and learn from her. Meeting Steve from Acme Bakery was wonderful – you can expect a longer article on Acme soon. I found Belinda at Patisserie B warm and funny and possibly baking better French patisserie than the French! Spending an afternoon with Michel Suas from The San Francisco Baking Institute was also a huge privilege. I don’t think there could be a baker in the world who wouldn’t agree that hanging out with the Tartine bread baking team is about as cool as baking gets. It was just as amazing as I had hoped for. After a few days I found myself inadvertently calling the bakery Tar – team. It is a tight space to work in, but there is a real buzz and an equal balance of male and female bakers, which was fantastic. (It was so male orientated when I was training.) I especially love Chrystal and her sense of mischief, and Eris as well and the front of house staff who looked after me, with strong coffee and pastries when I was feeling a bit tired and homesick. The bread team are seriously good at what they do, but they also laugh, and mercilessly take the mick out of each other in that affectionate way that people do when they are more like family than family. It was a reminder of how good it is actually to work in a bakery; the banter, camaraderie and the laughter was infectious. Truthfully, I felt quite tearful leaving, I really miss that kind of atmosphere and energy. 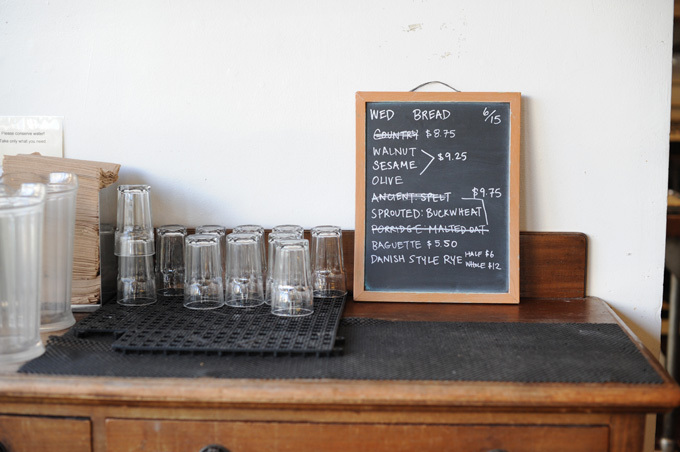 At the centre of the team is Richard Hart, Tartine’s head baker, and Chad’s right hand man. Richard is actually British, from East London. 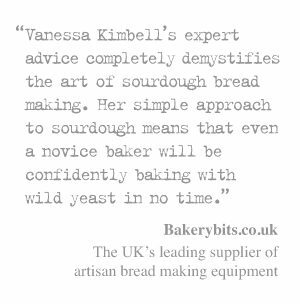 As you might well imagine he has a great work ethic equalled by a wicked sense of humour, and an unrivalled knowledge of naturally leavened bread. 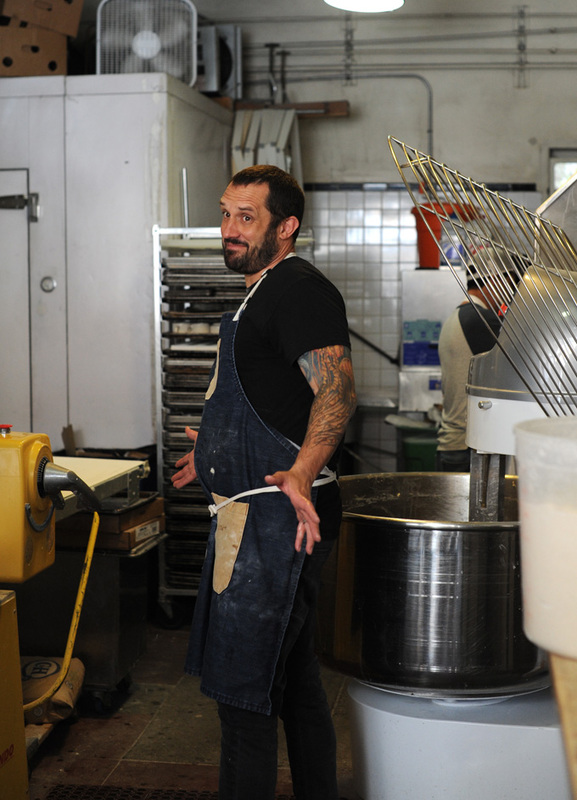 As a hands on manager he bakes from the heart and can be found working with the dough as part of the production team. Having the chance to stand back and observe, it is clear that Richard also never stops thinking. His knowledge is accentuated by a creative streak, and you can practically hear his mind ticking as he develops ideas and flavours with an instinct I have rarely seen before; it didn’t come as a surprise to realise that it was Richard who developed the bread recipes in Tartine’s third book. So, to answer the question … the absolute highlight of my trip was doing some recording with Richard. 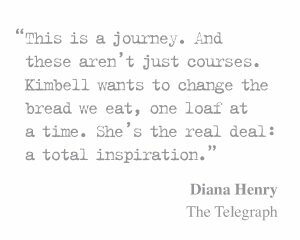 Just being around such an amazing baker was inspiring: for me there is no greater gift than inspiration. Did you get to meet Chad? Yes. Chad pops in to the bakery most days. Absolutely everyone loves to stop and chat with Chad. Just sitting at the tables outside I met half of the neighbourhood, almost everyone who walks past stops to pass the time of day. It’s a warm community, and Chad is very much part of it. We met three times over my stay and recorded some interesting audio, but as you might imagine he’s been incredibly busy and having just returned from a trip to Rome, and being in the middle of an exciting new project. Did you get your books signed by Chad? I’m slightly taken aback by this question…but… Do I have some Tartine starter? Will I be selling it? … er no…but I am happy to gift starter to anyone who wants to bring a pot to me for personal use only. 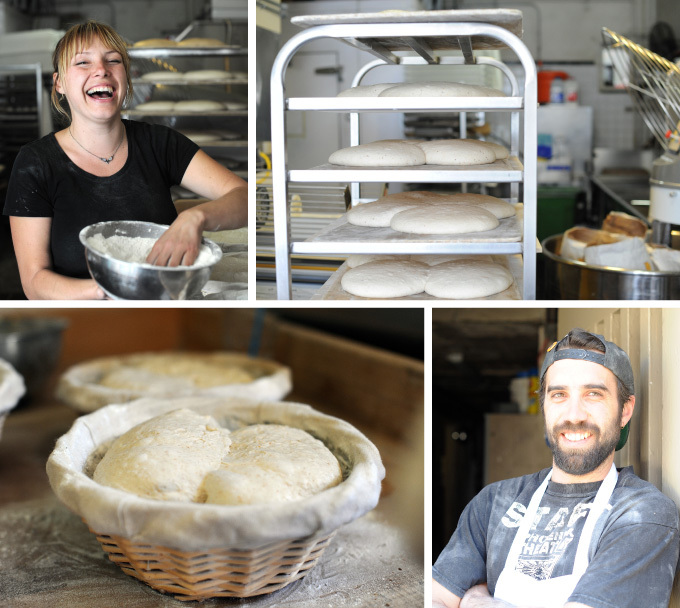 Yes, lots, especially about the future of sourdough and the direction of artisan bread. I think one of the key things was learning about the flour, and observing the production methods first hand. 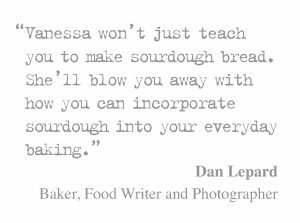 I learnt alot about the history of sourdough from bread historian, and author William Rubel. William and I have been chatting on his bread history group for a couple of years and he has a unique insight into the history of bread. He is utterly gorgeous, and I can’t thank him enough for coming to meet me… William is currently writing a full history for the University of California. What idea’s will you use from your trip? The most important information was the full picture of San Francisco Sourdough, but the idea’s that most inspired me were actually from Tartine Bar. The food was incredible, and I found myself pouring over a recipe book that had sat and languished on my book shelf for a long time. The whole approach set me on fire, so ironically it wasn’t so much the sourdough, but the extension of the fermentation that I will integrate into what I do here. I hope so. It won’t be for a long while though! 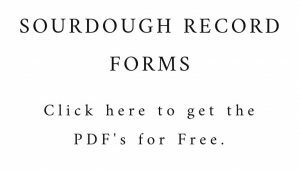 Share the post "San Francisco Sourdough"
Great post! 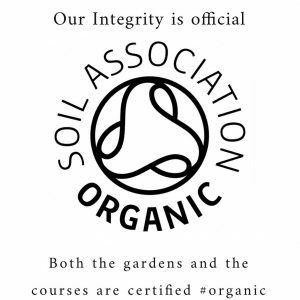 Your insight into the industry from the behind the scenes and historic perspective.. fantastic! Most people can appreciate the bread .. the product of a lot of hard work: research, trial and error and labor of love. Baking bread is a more than the commercialized, industrialized method of the past 40 years.. its revival back to the roots benefits everyone. Nutritionally speaking, Taste! Flavor and Craft. Keep it up. You, Chad and the dedicated artisans of the ART of Baking… Thank you. I recently visited Tartine, but the crowds, parking and timing (bread wasn’t ready for sale yet) denied me a opportunity to purchase a loaf. I guess there is always next time..